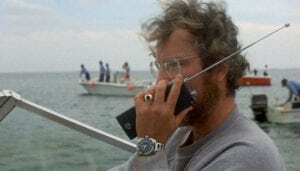 Richard Dreyfuss wearing the Alsta Nautoscaph in ‘Jaws’ (image courtesy of Universal Pictures). Alsta Watch Company originally made luxury, mechanical watches in the 1960s and 1970s, but unfortunately disappeared due to the “quartz crisis” in the late 70s. The watches were particular popular with diving enthusiasts, and the Alsta Nautoscaph even made an appearance in the 1975 movie Jaws. Angus MacFadyen, a watch enthusiast himself, made a choice to revive one of the companies lost to us in the 70s, and Alsta fit the bill. Having worked previously with Angus on the Aperio website, I knew this would be a great project to work on. Angus knows what it takes to make a site work and from a design and development point of view, that massively helps me. An ecommerce store to allow the sales of the site. A great mobile site experience. In recent months, mobile usage has now surpassed desktop, so the expectancy is the majority of Alsta customers would access via their mobile devices, and we have to carefully cater for them. Provide a system to deal with repairs and maintenance over the watch. Integrate a blog into the site to allow Angus to develop a brand story, discuss the general watch industry and discuss future products and offers. Quickly achieve some traction within Google rankings, due to the vast number of established links related to Alsta that would have to competed with. As with all sites that I work in, time was spent with Alsta developing the content and imagery before any design was carried out. The ensured that the final product was a slick, great looking website. All the content that is on the site looks carefully placed and tailored to it’s surroundings, and Alsta were delighted with the final result. An important aspect from my point of view is the interactive nature of the site. You want any users of the site to get feedback on the items/objects that they’re interacting with, and the content needs to feel alive. Being an online shop, there were always going to be call to action buttons to encourage you to shop or ‘Buy Now’, but I didn’t want to make them just feel like standard buttons. Adding a more unique design and animation felt like it would make the buttons stand out amongst the crowd, and we feel we achieved this. This ethos carried throughout the site. Icons have subtle animations; on the ethos page the cog slowly turns, the heart icon pulses and on hover turns red. Since the icons aren’t imperative to achieving the key goal of sales, it’s important not to make them distract away from the key information or buttons, which is why the animations aren’t flashy, or too quick, or too big. Even the link hovers, that change colour, only do so by a few subtle shades of grey. Still, enough to give the user some feedback that they’re interacting with the website. One big positive Alsta had was a cult following. The watch market is huge, and in particular there’s a niche demographic of people interested in traditional mechanical watches. The key was to get that following over to social media channels and onto the website, which is still very much a work in progress. We ran some competitions with newsletters to try and build up a following before launch, which was aided by a holding page with an e-mail signup form. With the run up to Christmas, we worked on an advent calendar type idea, revealing small parts of the watch every other day, teasing the watch community of what was to come. This worked particularly well on Instagram, gaining a lot of new followers, and the overwhelmingly positive response showed that our campaign was spreading the word of Alsta’s revival. Alsta has possibly been one of my largest projects to date, with hundreds of hours put into the smallest details of the site. Moving boxes a few pixels here and there, tweaking font sizes, adapting type weights, changing image rotations and shadow darknesses, there’s not a single part of the site that hasn’t been carefully considered, but I genuinely believe the results speak for themselves. I’ll continue to work with Alsta to develop the brand and website and continue to offer support through the social media channels. If you have any questions about the project, leave a comment, and if you’re interested in what Alsta have to offer, check out the website.